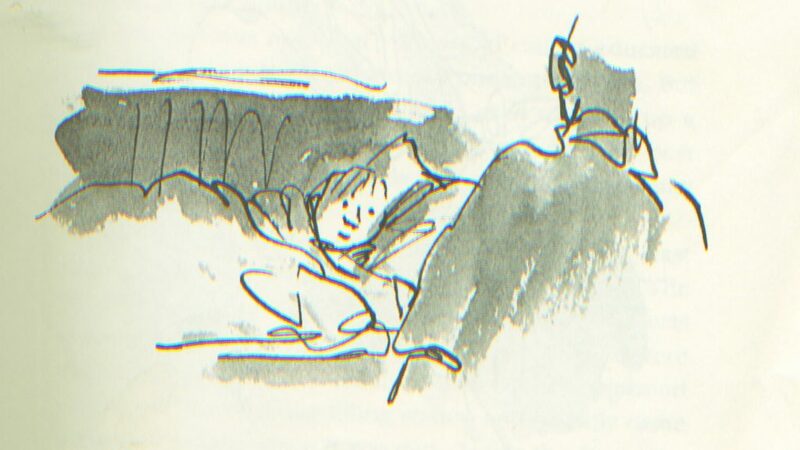 Illustration by the amazing Quentin Blake, from DANNY CHAMPION OF THE WORLD — a book that helped inspire THE COURAGE TEST. Deborah Kalb runs a cool website where she interviews a staggering number of authors and illustrators . . . and she finally worked her way down to me. Please check it out by stomping on this link here. Q: You wrote that you were inspired by Roald Dahl’s Danny the Champion of the World to focus on a father-son dynamic in The Courage Test. How would you describe the relationship between your character Will and his father? A: Yes, I came late to the Dahl classic and was struck that here was a loving book about a boy’s relationship with his father — not the kind of thing I’ve seen in many middle-grade children’s books. I found it liberating, as if Dahl had given me a written note of permission. In The Courage Test, William Meriwether Miller is a 12-year-old with recently divorced parents. His father has moved out and moved on. So there’s tension there, and awkwardness; William feels abandoned, and he also feels love, of course, because it’s natural for us to love our fathers. I wrote about this at more length, here, back a couple of years ago. In the unlikely event you are really fascinated by my connection to the Dahl book . . .